For the Cleveland Cavaliers to trade Kyrie Irving, they will have to be convinced they are getting back a player who can do what Irving has done—fearlessly take and make big shots in the biggest moments on the biggest stage the game has to offer. A quick inventory of the league will tell you there are none on the market who have already proved that, so it would be someone they think has the mentality to do what Irving has done. 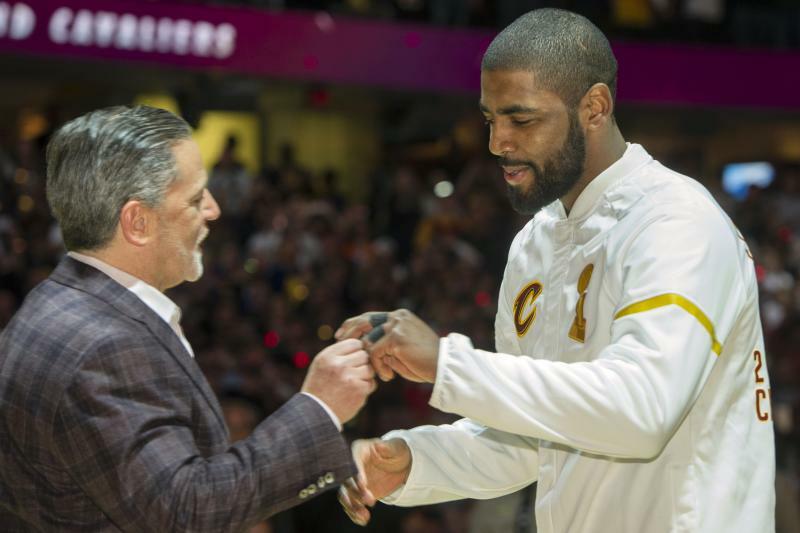 Short of that, owner Dan Gilbert will want to make sure he comes away looking as if he got equal or greater value in any trade of Irving, who kick-started this process after he met with Gilbert in July to discuss options, including being traded elsewhere. Recent events make it more imperative than ever that he does that. Start with the rumbling that LeBron James has contemplated not exercising his player option on the final year of his current contract, which would make him a free agent next summer. While James might be OK with moving Irving, his decision to stay or go obviously could be influenced by who or what the Cavs get in return. Then there’s Gilbert’s decision not to re-sign GM David Griffin, who presided over the Cavs’ three consecutive runs to the Finals. Koby Altman, elevated from assistant GM, took his place despite having no prior experience running a team. Griffin had no prior experience either, but he is assuredly a tough act to follow. His first season at the helm he made several deals that have been credited with elevating the Cavs above the rest of the East, most notably a three-team deal to acquire JR Smith and Iman Shumpert from the Knicks, along with a first-round pick from the Oklahoma City Thunder. The Thunder pick helped Griffin trade for Denver Nuggets center Timofey Mozgov, who played a big part in the Cavs’ first Finals run and was on the championship-winning roster the following year.